Escape to your favorite tropical paradise with an exotic touch of pineapple, vanilla, and white sugar harmonized with the familiar scent of creamy coconut. 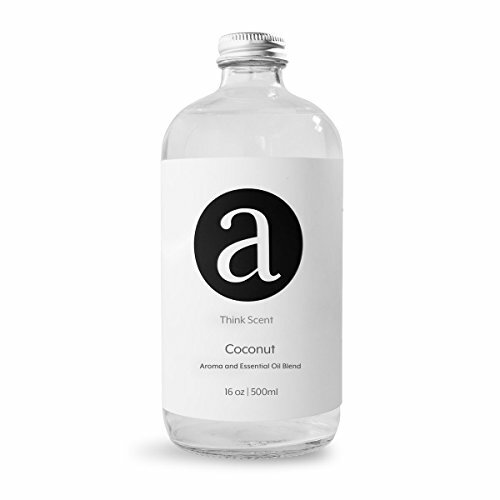 Coconut aroma oil is a 100% Pure Diffuser Blend created with the highest quality of raw and natural ingredients. We combine our aroma oils with pure essential oils that are certified Non-GMO, Vegan, and contain no parabens, DPG, glycols, petrochemicals, phthalate, artificial additives, synthetic colors, or harmful chemicals. All of our diffuser oil blends and essential oils are created to be 100% safe for your home, family, and pets. Coconut aroma oil is designed to be conveniently used in any cold-air or ultrasonic oil diffuser to create your ideal ambience. (Fresh Linen) Aroma / Fragrance Oil For AromaTech Air Freshener Scent Diffuser (500ml).